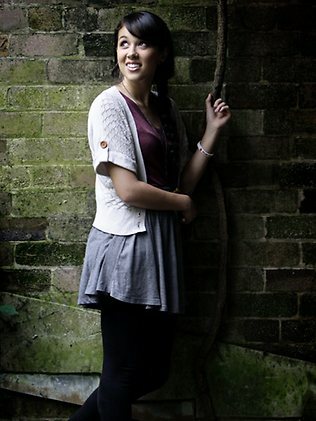 Kina Grannis and her 100 million YouTube views, She has no record deal,hasn’t had any radio air play, but this Youtube singing sensation has sold out three Sydney Opera House shows. KINA Grannis has sold out three Sydney Opera House shows this weekend but if you are not a member of the YouTube generation, you may be oblivious to her charms and talent. Grannis has been one of the video hub's biggest finds since Justin Bieber, with her channel receiving almost 100 million views in the past four years after the Californian singer entered a competition to have a song played during the Superbowl. She quickly won a fanbase as her clips were shared via social media. Her biggest hit is new single In Your Arms, with its stop motion clip featuring backdrops constructed by 288,000 jelly beans. "I guess a lot of it is people share, that's the thing now," Grannis said in Sydney. "People have some ownership over (my music) - they found it and they're passing it on."